The Quinton Q-Stress Cardiac Stress System from Burdick and Mortara is a new stress test system that is simple to operate and delivers accurate results using innovative technology. 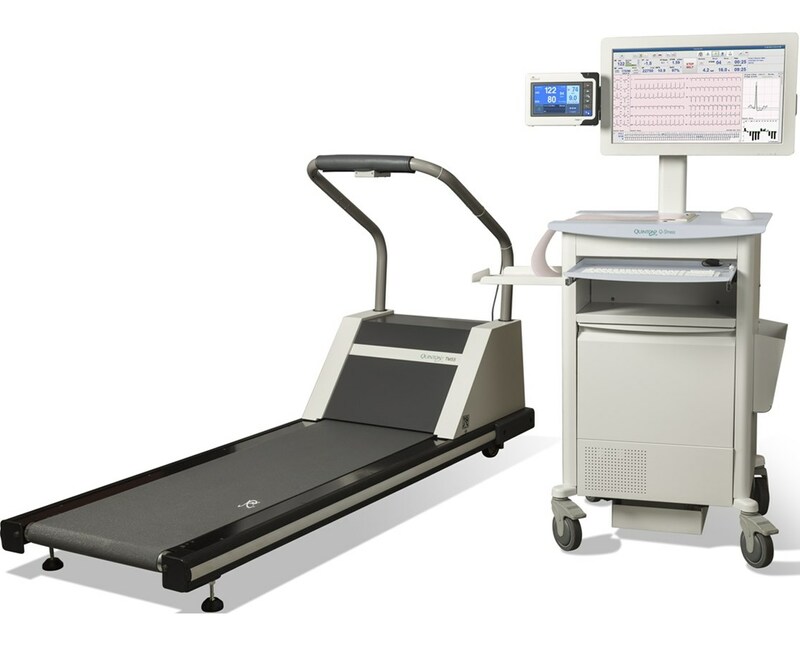 Superior Technology: With its superior performance, this cardiac stress test system is all you need whether you are a multi-physician clinic, single physician clinic, hospital department or cardiology office. It uses VERITAS™ technology with algorithms that offer superior accuracy with ST-segment monitoring in real-time, resting ECG interpretation and arrhythmia detection, as well as delivering important data during each stage of the exam. It provides 12-Lead ECG interpretation for adults, adolescents, and children. The Source Consistency Filter (SCF) technology ensures minimal ECG signal artifact, preserves high quality ECG signal, and offers exceptional trace quality. 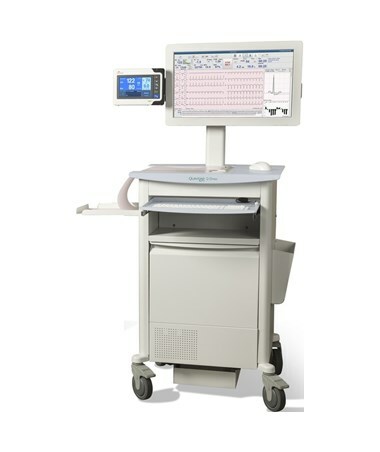 The system uses Wireless Acquisition Module (WAM™) which digitally transmits ECG data for greater comfort for the patient. Simple: The intuitive bi-directional user interface works with left to right navigation for simplicity and features either a 24" standard LCD screen or 24" Touch Monitor. You can hare and retrieve PDF, XML, HL7, and DICOM® reports to and from PACS or EHR system. Reports can be customized based on physician preference. This stress sytem comes with several options. You can choose to purchase your system with a 24" Standard LCD Screen or 24" Touch Monitor. 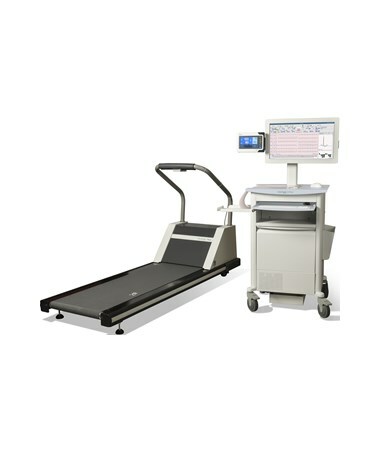 The system comes with or without a Treadmill which features an emergency stop button and a weight capacity of 500 lb. A Trigger Modules is available for TTL and analog output and you can choose an optional DICOM enabled system. DICOM: The system has been designed to aim the workflow of busy clinical environments such as large hospitals and diagnostic centers with an intensive patient turnover, unlike small clinics or doctor’s offices that will not benefits from the extensive capacity of the system. DICOM is a way to communicate to certain PAC systems. It enables storing, transmitting, and printing information using medical imaging. It enables connectivity to scanners, printers, and workstations from different manufacturers into a PAC system. It includes an additional software piece in the unit. To purchase your customized Q-Stress System, please go to the drop down menu above and complete your online order in a few easy steps.